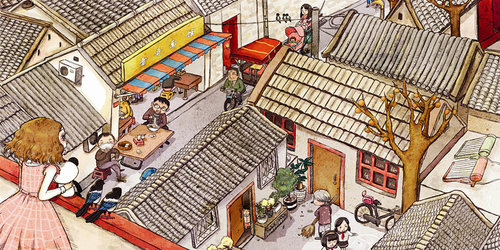 The hutong is typical of the cultural elements of Beijing. In the eyes of both locals and foreigners, the narrow, quiet alleys that connect ancient houses — in particular quadrangle courtyards — help form close and friendly neighborhoods, which remind people of the unique charm of old Beijing. "The first time I went to a hutong was a few weeks after I moved to Beijing (in May 2013). I read about Beijing's hutong online before I relocated to the city with my family. I was curious to see for myself what a hutong was like," says Lana Sultan, a Saudi Arabian woman of British descent. Sultan's book, What a Place!, was published in April. Sultan wrote the bilingual book (English and translated into Chinese) especially for her daughter, Maria Trabulsi. The girl, who will turn 4 in October, moved to Beijing with her parents when she was seven months old. She lived in the ancient, yet modern, capital of China until the end of June, when her family moved back to Saudi Arabia. Friendly, open, precious, happy, joyful, interesting, festive, charming, legendary and adorable … Sultan describes in the book her daughter's impressions of Beijing — including 10 typical scenes in the city — with only 165 English words. "I'm a Beijinger. 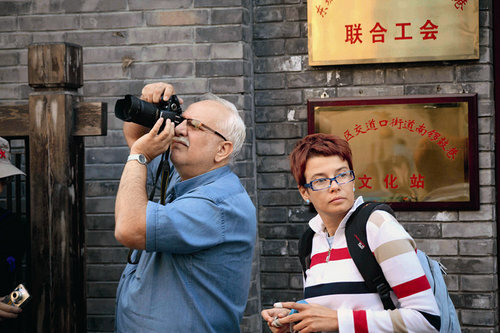 I will miss this place so much," Trabulsi said, in fluent Chinese, before she left Beijing. The city, she added, gave her some of her best childhood memories. Sultan says her daughter likes the quiet alleyways that lead her to the very old sections of Beijing. Trabulsi was too young to remember much about her first trip (with her mother) to a hutong. But Sultan remembers clearly how wandering along the alleys and looking at the long lines of grey walls and the stunning roofs above the courtyards made her feel like "traveling back to the old centuries." Says Sultan: "I was impressed when I saw a lot of Beijingers still lived in hutong in a more traditional lifestyle compared with the modern lifestyle that is now all over the city. When I visited the alleys, I enjoyed (witnessing) the simplicity of life, such as the elderly people playing Chinese chess, while the youngsters ran around." She used to chat with people who lived and worked in hutong. She was interested in their daily routines, and she was curious about the products sold by vendors in the alleys. Sultan also wanted to understand what kept the hutong lifestyle vibrant despite the mass urbanization that took root in much of the city. 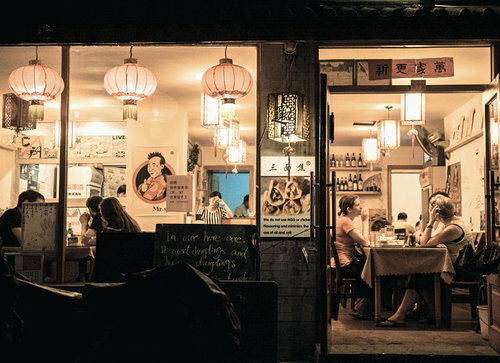 "I think being 'lost' in hutong … is the best way to experience what real life is like in Beijing. I describe in my book that hutong (means) maze alleys (in which) you will eventually find your way out," Sultan says. Readers, especially Chinese, may realize the importance of treasuring traditional elements of Beijing, such as hutong, when they read Sultan's book. The illustrator, Xu Wendi, is a woman in her twenties. She has lived in Beijing for more than 10 years. She says drawing the pictures for Sultan's book gave her the opportunity to appreciate Beijing from a new perspective. She had to observe Beijing more carefully when she was doing the illustrations; for example, she had to pay great attention to the various shapes of tiles on the roofs, the different meanings of animal sculptures and even what the birds in the old alleys looked like. "A foreigner can tell me dozens of traditional Chinese elements in just one scene of the city, and that's really touching!" says Xu. Li Xiangang, an editor with Daylight Publishing House, decided — soon after he heard about the topic of the book — that What a Place! was a book that deserved to be published. Li said the book offered readers a way to understand Beijing's charm through foreigners' eyes. According to China Daily, historic buildings in hutong areas in Beijing are becoming popular with young, hip foreigners. 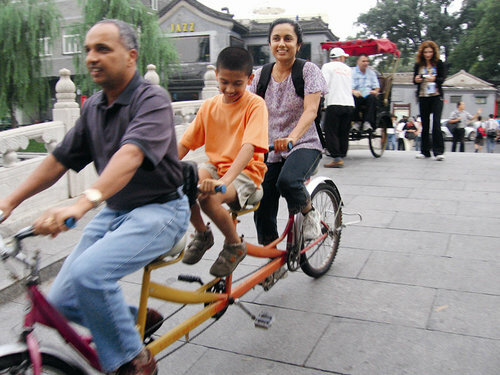 Many foreigners have come to Beijing to experience the unique culture and various traditions of the ancient capital. Hutong, which represents a culture rooted in old Beijing's customs, has become the best place for foreigners to live, especially if they are sightseeing or studying in Beijing. 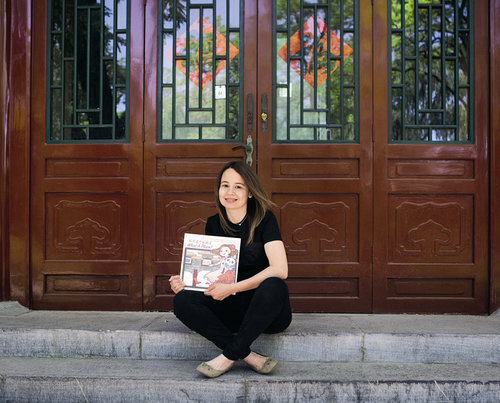 Carolina Roderigues, from Portugal, told China Daily, "Living in hutong is much more interesting than living in new areas, because it is (a way to help residents become) more connected with the history of Beijing." To Roderigues, living in hutong gives the feeling of living in a village. "I get along well with my closest neighbor, my landlord, who lives downstairs from my apartment. She often invites me to have dinner with her, and she helps me practice speaking Chinese. Beijing is such a big city, with heavy traffic, so it's special to have such a peaceful feeling while living in a hutong. I think my neighbors live happier lives than many residents in newly built, good apartments," she adds. Yin Shan, a marketing manager of a hotel, which is a restored quadrangle courtyard in hutong, says more than 90 percent of the hotel's customers are foreigners. "Many of our customers are interested in learning traditional Chinese culture and art. So, in addition to offering them accommodations and catering services, we arrange calligraphy classes, guzheng (a traditional Chinese musical instrument) concerts and cooking lessons," Yin says. The Wall Street Journal published an article (on January 7, 2016) that described the increasing attraction of restored houses, in Beijing's hutong, for foreigners. Compared with living in nice apartments in tall buildings, an increasing number of foreigners prefer to live in polished traditional courtyards in old alleys. They believe living in a hutong will give them a different experience, and that it will help them make friends with typical Beijingers who live in the old alleys. However, due in part to the city's rapid modernization, a considerable number of old alleys in Beijing have been reconstructed into compounds composed of new buildings and businesses. Michael Meyer, author of The Last Days of Old Beijing, says it is not easy to calculate accurately how many hutong alleys are still well preserved in Beijing. The city had an estimated 7,000 hutong when the People's Republic of China was founded in 1949. According to statistics released by Beijing Cultural Heritage Protection Center, the number of hutong had been reduced to 1,350 by 2008, Meyer says.